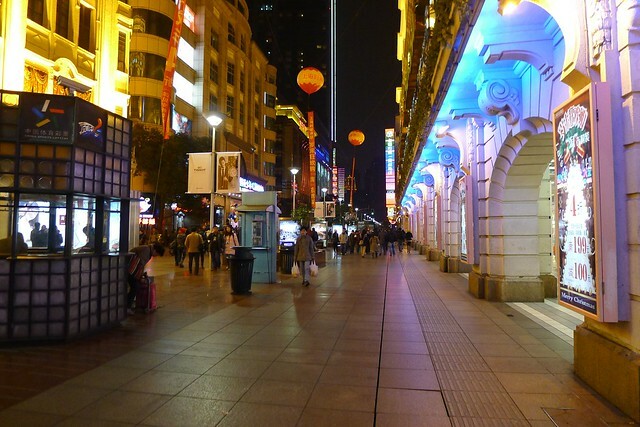 China Trip – Shanghai: Dinner, East Nanjing Lu Pedestrian Street, Street Food & The Bund 南京东路步行街，外滩 (Day 3) – The Apple Store at Nanjing East Road was really awesome, but then we got hungry after checking out of the Apple Store, hungry of Apple products, and also hungry of food too! 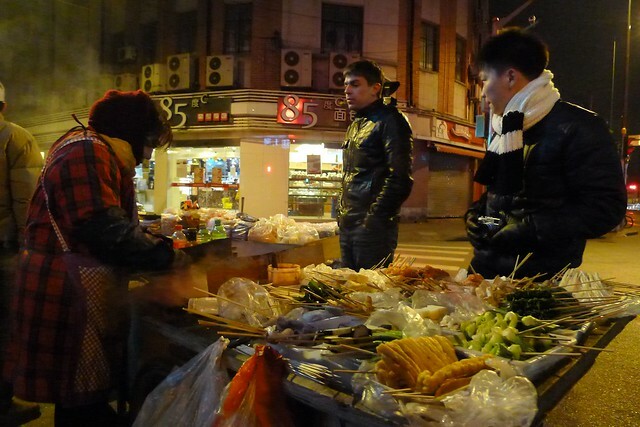 It’s time to hunt for some real Shanghai food on the famous East Nanjing Road Pedestrian Street. 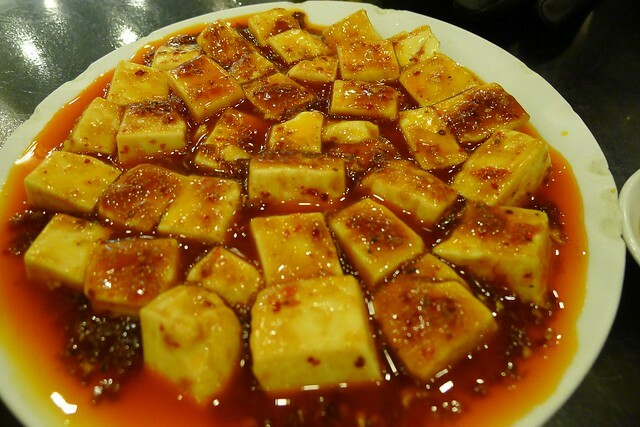 Shanghai food initially was very cool in my mind, but then, it’s not as delicious as I expected. We dinnered at a Shanghai restaurant, serving Shanghainese food, we ate Xiao Long Bao, some very oily vegetable with pork, spicy mapo toufu and steamed rice. Well, Xiao Long Bao did taste better than ours, but the other dishes were special, yet weird, because of too oily and spicy. Alright, dinner done but not super awesome. 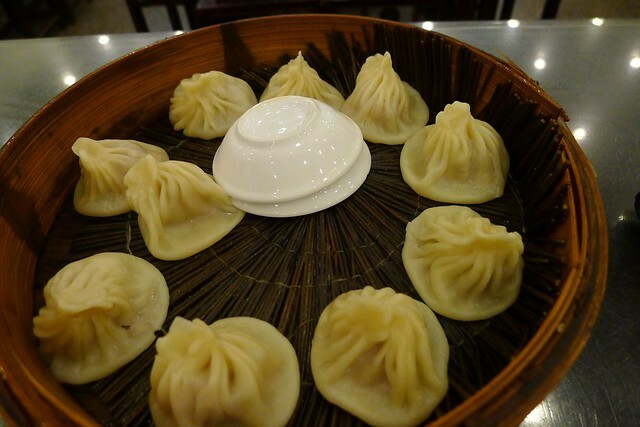 Shanghai Xiao Long Bao soup dumpling. 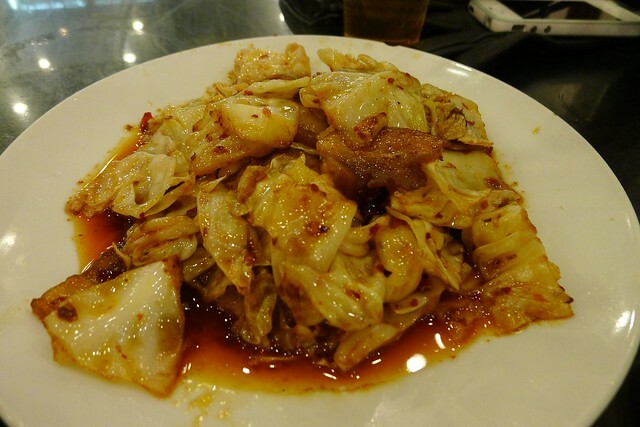 Oily cabbage fried with pork slices. 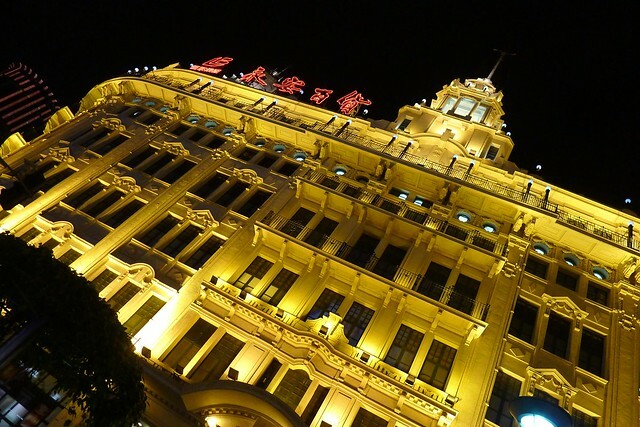 We went to tour the famous East Nanjing Road Pedestrian Shopping Street, it’s a very cool shopping street with historical Shanghainese building which blends Western architecture with Chinese culture. You can see huge Chinese signboard on Western-style building. 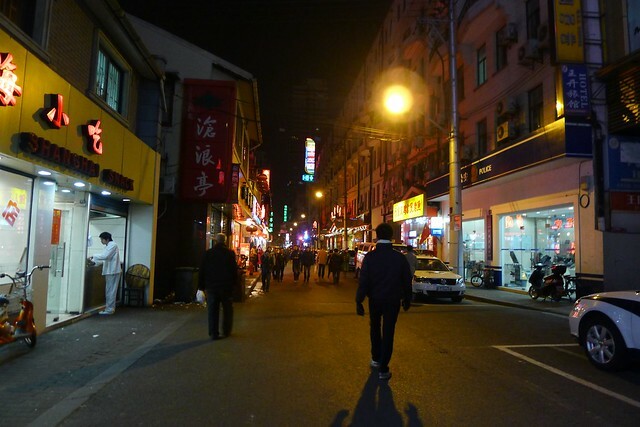 If you watch movie about old-Shanghai where there’s many nightclub and supper happenings, this is the street. But now, there’s no nightclub anymore, it’s a whole stretch of shopping retail outlets. 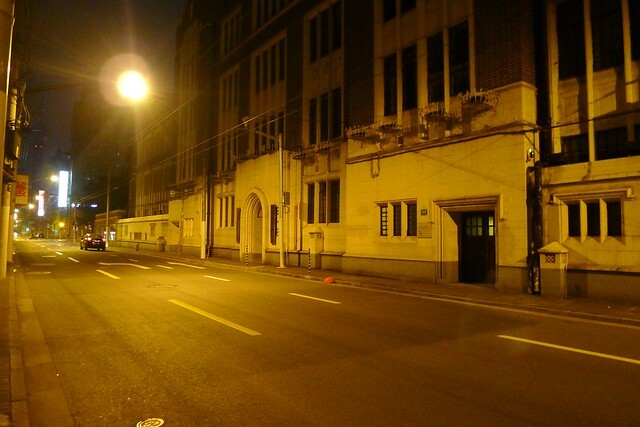 It’s still very happenings, and beautiful at night when spotlight shines on the building. 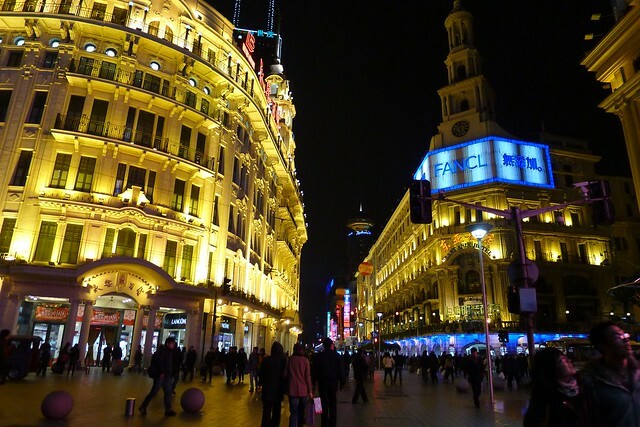 Beautiful Shanghai East Nanjing Road. The walking street, dedicated for pedestrian, designed for walking. 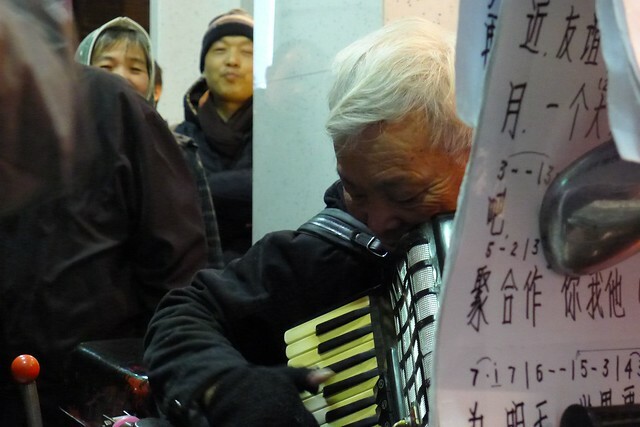 Street community karaoke going on. 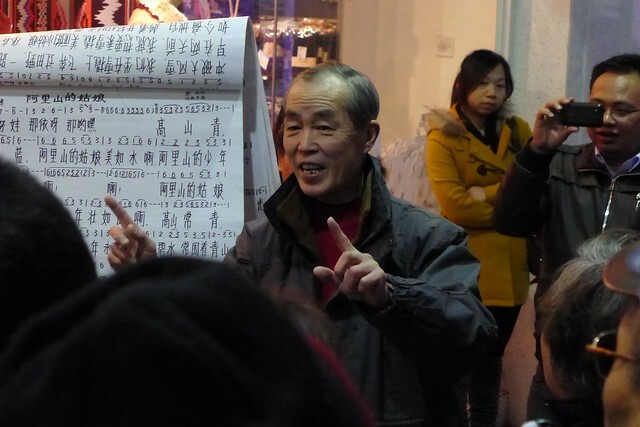 There’s the conductor with the Chinese song lyric. 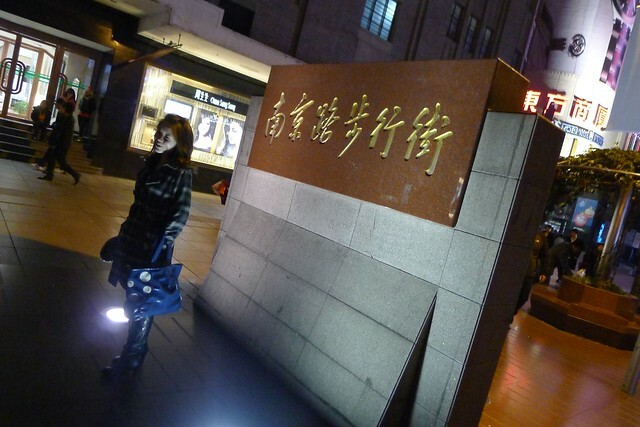 At the end of East Nanjing Road. Some very stupid thing occurred at the East Nanjung Road was that there’s 2 Chinese girls tried to scam us. First, they asked us about directions to People’s Park, then we said we don’t know; then they asked whether are we students on travel to Shanghai, we said yes, later then they wanted to join us to walk around the place, like trying to be friendly to us. 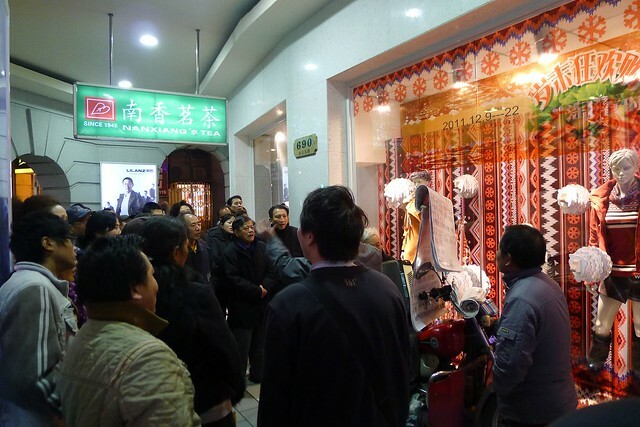 It’s just felt very wrong and weird because one must always beware of scam in China. We ignore and rejected them then they walked away with a “failed” face. After checking online, it’s actually the coffee scam, which always is 2 girls approaching young tourist, especially college students, and they will bring you to a coffee shop, where they will order some expensive drinks, end up paying hundreds of dollar for cheap drinks. So, beware of this. We actually came across 3 different pairs of girls at there. Haha, they really failed on scamming us. Actually there’s nothing much to shop at there for us, there’s departmental stores, clothing, footwear, and more, which are pretty normal to us. It’s just walking around, looking at people and buildings. Things are not cheap at there too. Another thing is, you will be annoyed by the people standing outside of sportwear shop like Niki & Adidas, offering you some cheap fake shoes with a piece of catalog paper. Very annoying, but just ignore them and they won’t bother you anymore. 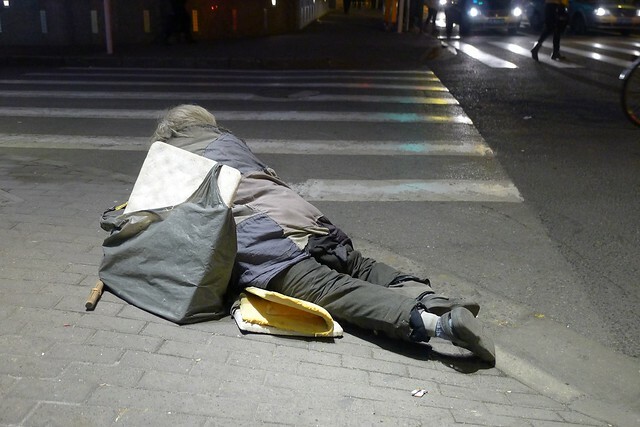 A beggar on the floor. 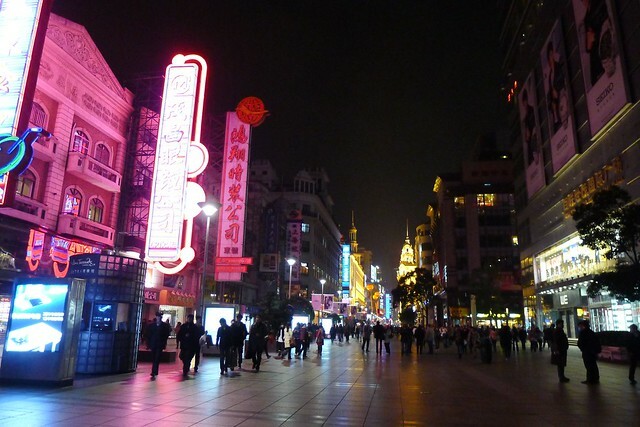 Since it’s still early, it’s only 10.30pm when we walked the whole stretch of Nanjing East Road, we walked to the famous riverside – The Bund to see the skyline of Pudong Shanghai. We walked pass many colonial Western-style building along the way and it’s quiet. Unfortunately, the sad thing was the lights at the skyscrapers were off at that time although the skyline of Shanghai’s Pudong area is really awesome. 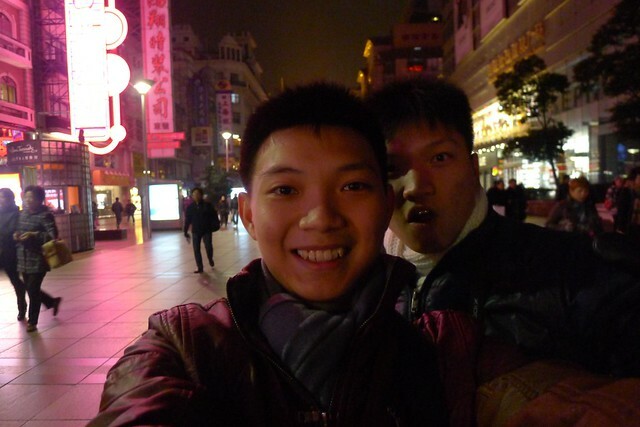 So, we planned to visit The Bund at the next day. Walking along the quiet street. 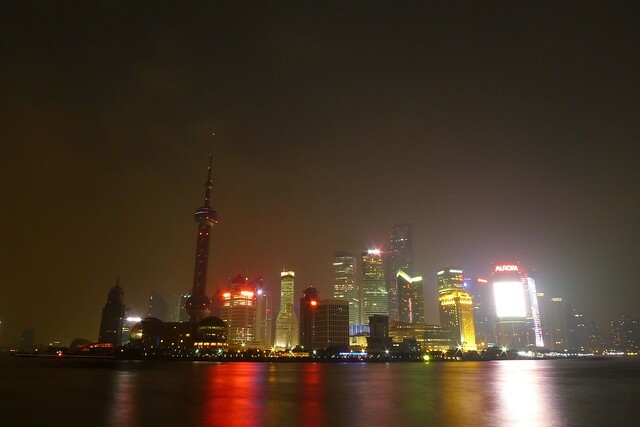 The skyline of Shanghai’s Pudong area, awesome but then not perfect without the light on at the Pearl TV Tower. 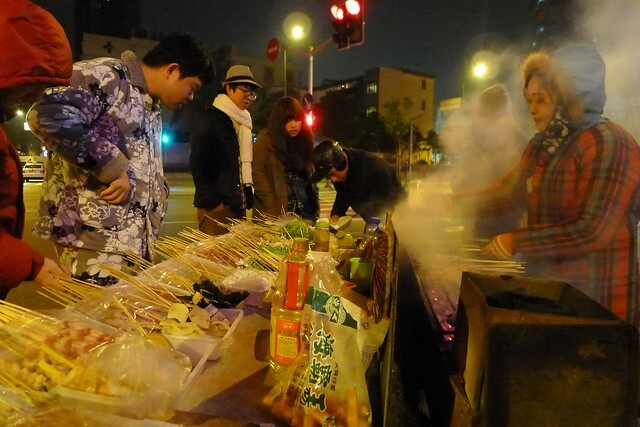 While on the way back, we found some street food stalls, selling BBQ food and fried noodle. I bought a chicken wing and a stick of mutton. 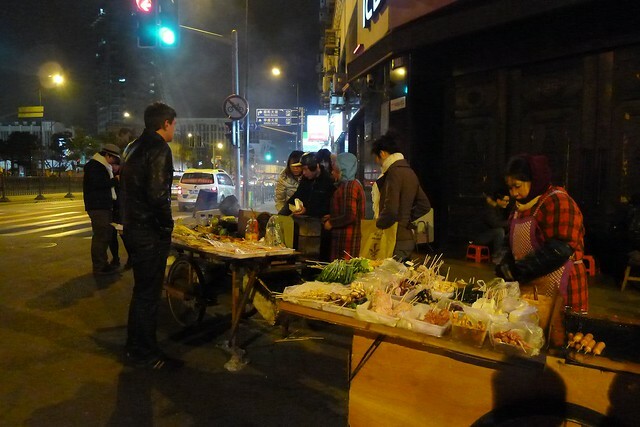 Well, it tasted, BBQ, not really very interesting to me, but the locals and the caucasian like it.